May, the most beautiful of nature's gifts, is the month of many Korean holidays. It can be known as the 'Month of family,' as well as the 'Month of gifts.' However, being caught up with your own life can often make it difficult to express how much some people mean to you. At Sheraton Grande Walkerhill Hotel, you can comfortably show them you care without having to waste time deciding what to do for them. May 5th, to celebrate Children's Day, there will be a Ballet Performance held at Walkerhill's Kayagum Hall. Lunch will also be served before the performance for the viewer's satisfaction. Seoul Ballet Company has prepared "A Trip around the World with Ballet." This show will contain clips of ballets such as "Sleeping Beauty," "Don Quixote," "The Nutcracker," and various other clips of famous stories children would easily understand. Representatives of Spain, Arabia, Russia, China, and various other countries have come together to all perform to a theme based on the computer game, 'Lineage 2.' The exotic and charming effect of this international musical will grab the children's attention to make their Children's Day a most memorable experience. Along with the performance, all the children in the audience will receive high-quality school supplies for the best of luck in the next school-year, and a five-course lunch menu. On Children's Day, May 5th, 2007 the ballet will be two performances at 11:40am and 2:00pm. Early reservations will guarantee a better seat, but tickets will also be available for purchase the day of for \ 60,000 (Adult and children menus and admissions are the same price). Many people have the habit of giving money to their parents as a gift on Parents' Day in Korea. However, this year, show your appreciation. At the Sheraton Grande Walkerhill Hotel, top singers of our parents' generation will be holding very special concerts. However, it doesn't stop there. Walkerhill has prepared a six-course, special invigorating meal to accompany the show to make the audience feel at ease. 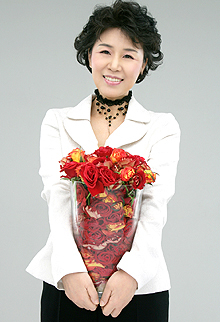 Soo-bong Shim, one of Korea's most renown singers, will hold her concert May 6th, 7th, and 8th, 2007 from 7:30pm to 10:30pm at the Kayagum Hall, and the queen of trot music (pronounced as "teuroteu" in Korean (sometimes derisively called ppongjjak), is the oldest form of Korean pop music) Hyun-mi Joo, will also be having a concert, May 7th and 8th, 2007at Vista Hall from 7:00pm to 10:00pm. Walkerhill — "The Chef's Special — Good Deed Menu"
There are always things to be thankful for and many people to be thankful of. However, you can never show too much love for your parents. There's nothing better than a meal with meaning — a thank you, and an "I love you." Walkerhill has organized a separate 'Good Deed Menu' for each restaurant to follow a similar theme, yet allow guests to chose the type of restaurant to eat at. At Ondal, Walkerhill's royal Korean cuisine restaurant, there will be ten different dishes on the menu, all following a theme of invigoration and health. The price will be \80,000 a person (exclusive). At Kiyomizu, the Japanese restaurant, there will be a selection of sashimi of the highest quality, along with various other healthy ingredients to satisfy your parents' tastebuds. The meal will consist of twelve courses at the price of \100,000 (exclusive). Golden Dragon, the Chinese restaurant will be featuring Hong Kong style health foods such as king crab, shark fin soup, and Ok-bo-tang (a very healthy soup made with ingredients such as five - year old ginseng, fresh abalone, and black chicken). At this restaurant, your parents will be able to take pleasure in tasting both Asian and western foods for prices between \100,000 and \120,000 depending on the menu selection. Anyone can enjoy Walkerhill's 'Good Deed Menu' throughout the month of may.